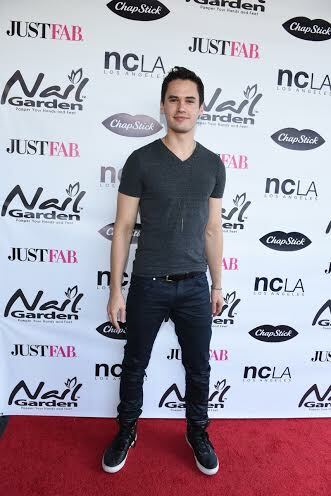 Article: Monty Geer Looked Super Cool And Had Fun At The Nail Garden Studio City 10 Year Anniversary Party! It was an incredible day for a wonderful event! The immensely talented actor Monty Geer had a great time showing his support as he attended the Nail Garden Studio City 10 Year Anniversary Party Summer Toy Drive Benefiting Mattel Children’s Hospital UCLA on July 26, 2016. The event was a fun-filled day that celebrities and attendees were able to enjoy all while benefiting a spectacular cause. Monty Geer looked super cool as he attended the event and posed for photographers on the red carpet. It looks like Awkward star Monty Geer had a phenomenal time at the event! I’m glad he enjoyed his time. Previous Article: Asia Monet Ray Looked Gorgeous At The Nail Garden Studio City 10 Year Anniversary Party! Next Article: Watch First Lady Michelle Obama In An All New Episode Of “All In With Cam Newton” Airing 7/29!